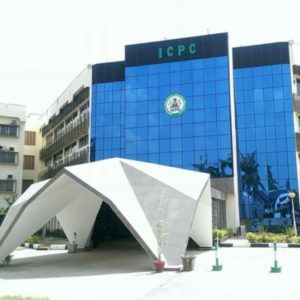 The Independent Corrupt Practices and Other Related Offences Commission (ICPC) has arraigned a Civil Servant with the office of Auditor-General of the Federation (AUGF) Mr. Lebi Ayodele James, before Hon. Justice Yusuf Halliru of High Court 32 of Federal Capital Territory (FCT) on a 3-count charge bordering on false statement and forgery. The charge sheet revealed that Ayodele, being a public officer in the AUGF’s office knowingly made a “false statement” to the Director of Administration and Human Resources of the same office when he wrote an application letter requesting to be converted and upgraded from the position of an Executive Officer to that of a Senior Auditor and presented a certificate of membership of the Institute of Chartered Accountants of Nigeria (ICAN), thereby committing an offence contrary to Section 25 (1) (a) and punishable under Section 25(1b) of the Corrupt Practices and Other Related Offences Act, 2000. In the 2nd count Ayodele was alleged to have knowingly presented a certificate of membership of ICAN which is a forged document that he intended to fraudulently use as a genuine document for his conversion and upgrading and he thereby committed an offence contrary to and punishable under Section 368 of the Penal Code Act Cap 532 Laws of FCT Nigeria 2006. In the 3rd count Ayodele was also alleged to have informed the Director that he was a member of ICAN in order for him to be converted and upgraded when he knew that the information was false and thereby committed an offence contrary to and punishable under Section 140 of the Penal Code Act Cap 532 Laws of FCT Nigeria 2006. The accused person pleaded not guilty to all the charges preferred against him and his counsel, Mr. C. Ojutule moved a motion for his bail pending the determination of the case. In a swift reaction to the motion by the defence, ICPC lead counsel, Agbili E. Kingsley although not in opposition to the bail application, urged the court to impose stringent conditions on the defendant to enable him stand his trial. Having listened to the submissions of both parties, the trial judge granted bail to the accused and ordered him to produce two officers not below the rank of director, with the ownership of title property document within FCT and evidence of their promotion to the rank of a directorship. The matter has been adjourned to 26th March, 2018 for continuation of hearing.